Anheuser-Busch InBev today announced a voluntary recall in the U.S. and Canada of a “limited” number of Stella Artois bottles that may contain glass particles due to a packaging defect. A-B VP of communications Gemma Hart told Brewbound that the company launched the recall after receiving five consumer complaints in the U.S. and Canada. She added that it’s too soon to say how much the recall will cost the company. 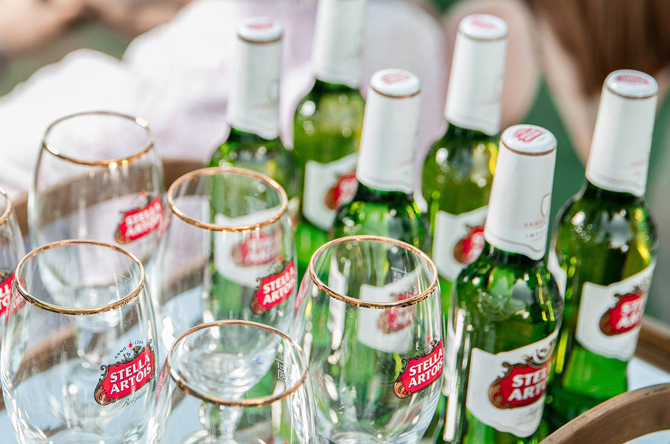 According to A-B, the recall amounts to less than one percent of Stella Artois glass bottles sold annually in North America, and the number of “affected bottles will be far less than this.” The company added that it is working with its wholesaler and retailer partners to remove the recalled products from store shelves. Those products include bottles of Stella Artois packaged in 6-, 12-, 18- and 24-packs as well as Best of Belgium multi-packs in the U.S. and Canada. 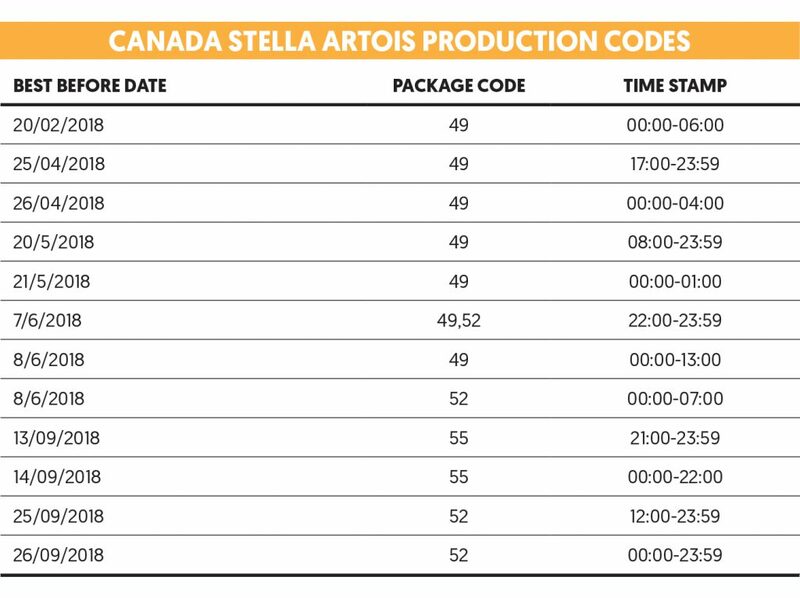 The recall also includes Stella Artois Légère 6- and 12-packs in the U.S.
Stella Artois bottles included in the recall have the following “best before dates,” packaging codes and time stamps. A-B said it would reimburse consumers for products covered within the recall. The company has encouraged consumers who purchased products covered in the recall to visit the following website — https://stellaartois.expertinquiry.com — or call a hotline — 1-855-215-5824 — for details on how to receive a refund. Several other companies have issued recalls for various reasons, from packaging flaws to off flavors, in recent years. In early 2017, Sierra Nevada issued a similar recall for a glass defect that impacted product sold in 36 states. Constellation Brands, Revolution Brewing, Real Ale Brewing Co., Alltech Lexington Brewing, Epic Brewing, Left Hand Brewing and Goose Island, which is owned by A-B, have also dealt with recalls in recent years. NEW YORK, New York – Stella Artois today announced a voluntary recall of select packages containing 11.2-ounce (330ml) bottles of Stella Artois beer that may contain particles of glass. This recall applies to Stella Artois 6-packs, 12-packs, 18-packs, 24-packs, “Best of Belgium” multi-packs in the U.S. and Canada, and Stella Artois Légère 6-packs and 12-packs in the U.S. The recall does not affect other Stella Artois packaging formats, such as cans or draft or bottles of any other production codes. We made the decision to voluntarily recall certain packages potentially containing the affected 11.2-ounce (330ml) bottles as a precautionary measure to ensure the safety of our consumers. The beer subject to this recall includes Stella Artois cases with a packaging date that falls within the ranges listed below. The codes can be found on the back label of the bottles and on the side of the cardboard cartons for the 12-packs, 18-packs and 24-packs of 11.2-ounce (330ml) bottles. 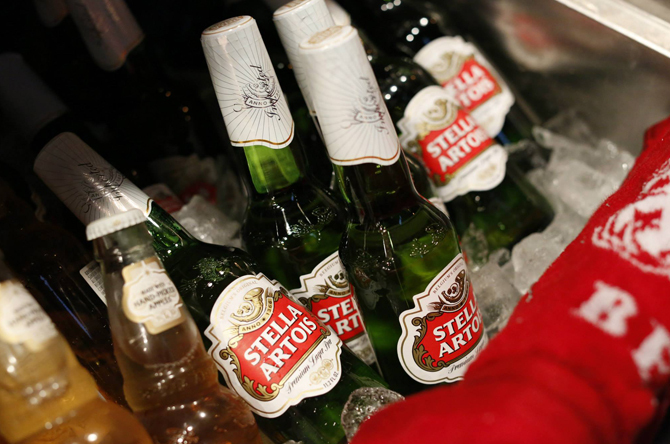 Consumers should check the Stella Artois bottles in their “Best of Belgium” multi-packs. Attached are photos which show the exact location of the relevant production codes. “The safety of our consumers is our top priority. While the number of potentially-affected glass bottles is very small, we are recalling these Stella Artois packages as a precautionary measure,” said Christina Choi, Global Brand VP, Stella Artois. “Our team of technical experts has been working with our third-party glass bottle supplier to ensure this packaging flaw has been addressed.”Stella Artois is actively working with our distributor and retail partners to remove potentially-affected packages from retail.Consumers who have 11.2-ounce (330ml) bottles of Stella Artois beer marked with the production codes listed below should visit https://stellaartois.expertinquiry.com for more information and for instructions on how to find the production codes for potentially-affected product. Consumers can also call our consumer hotline at 1-855-215-5824.